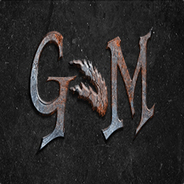 This is a group for all players of Mordheim who are prepared to stay & fight the good fight. Once entered into combat a Warband must behave as true warriors would. Conducting him, or herself with honour. Combat must reach a conclusion - combatants are expected to remain in the contest until the carnage reaches a conclusion. We have a fair and evenhanded policy regarding those who choose to absence themselves before the hostilities are through. Empowered to decide all matters at issue concerning 'namings' - he is judge, umpire & banisher. Forging content in the Content and Patchyness thread - an observer, commenting on all patchy-shaped things..
A Seeker of knowledge, guardian of wisdom. A wise head that has memorised vast tracts of Mordheim-Shaped knowledge: history, religion, genealogy, poetry & magic. Our filmic genius, our goofy gaze giving pixel pusher Our Movie Magister!,, ...and silver screened Wiz! If you get stuck and want to join feel free to post here or drop me a message on steam and I'll point you in the right direction. With the current patch, we all get 2 more reserve slots! The new DLC-units get debugged and rebalanced, Possessed units gain mutation earlier (at rank 1, 4 and 7 instead of 1, 5 and 10) and all wyrdstone-related skills had their duration prolonged from 1 to 2 turns. These changes come along with several minor changes to skills and some bug fixes. Great news for the ones that are stuck in a game that won't load due to the smuggler trap bug. See here for the full patch notes. Hi guys! I'm looking to see if anyone is up for a friendly match? I've never really played pvp and was wanting to give it a try, My warband is rated 3424. I was wanting to do a match that won't result in injuries first to get used to not fighting AI. haha anytakers? Hello Gentlemens! I haven't played this game in quite some time, but really loved it. Never played much pvp since the pvp system was pretty clunky. I'm reinstalling right now though, how active are people in the game still? im looking for players, any takers? I have just had to disband my Witchhunter warband, that I have played for several months. It was a level 9 warband with my impressive at level10. So I am very anoyed and demotivated because of this. I found myself in a position of no return with the warband. I had five day to go to deliver my quota of 285 in weigh. I had 223 in weight. I had only 80gold to my names so I chose an encounter that was Normal in difficulty with average wrydstone and scavengables. Entered the encounter to the scenario of both warbands scattered following the manifestation of the ghostly town crier.